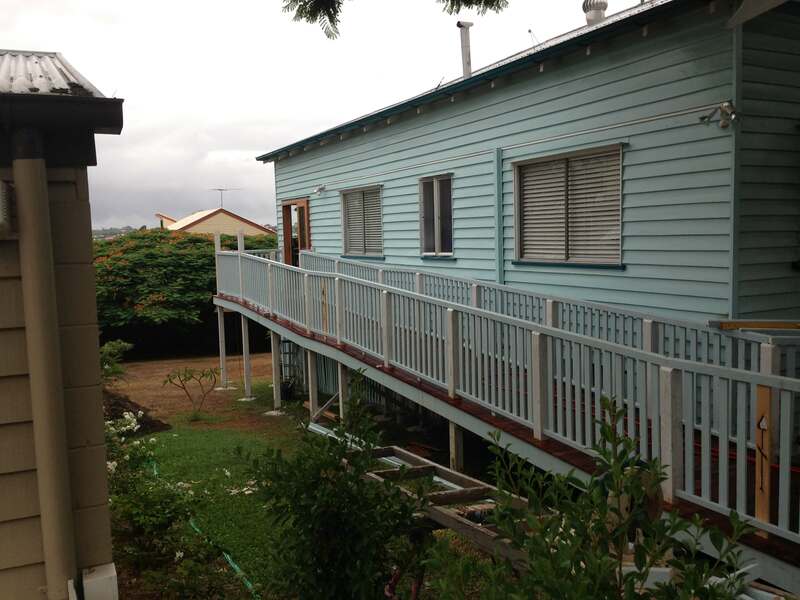 m.ewaldBUILDING was engaged to build an access ramp to this house in Coorparoo. The ramp was to comply to Australian Standard for disabled access ramps. The job included; cutting a gate into the existing front timber fence, pouring a concrete level landing inside the gate, constructing approximately 17 metres of a ramp from quality Australian hardwood and incorporating this new ramp into the existing front porch. Coorparoo is one of Brisbane’s older suburbs filled with character homes. Many of the homes within Coorparoo are built on sloping blocks or are built in an older style, meaning that a majority are raised above ground level to some degree. This is excellent for staying above flood levels or creating extra storage or parking space downstairs but can present difficulties for those with a disability or mobility constraints. 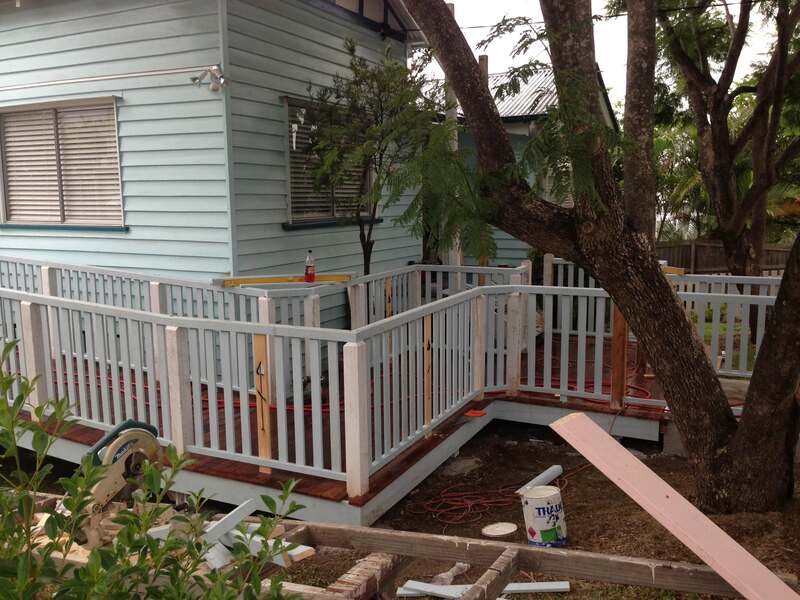 m.ewaldBUILDING have assisted these Coorparoo homeowners by building a visually appealing and functional Disability Access Ramp. 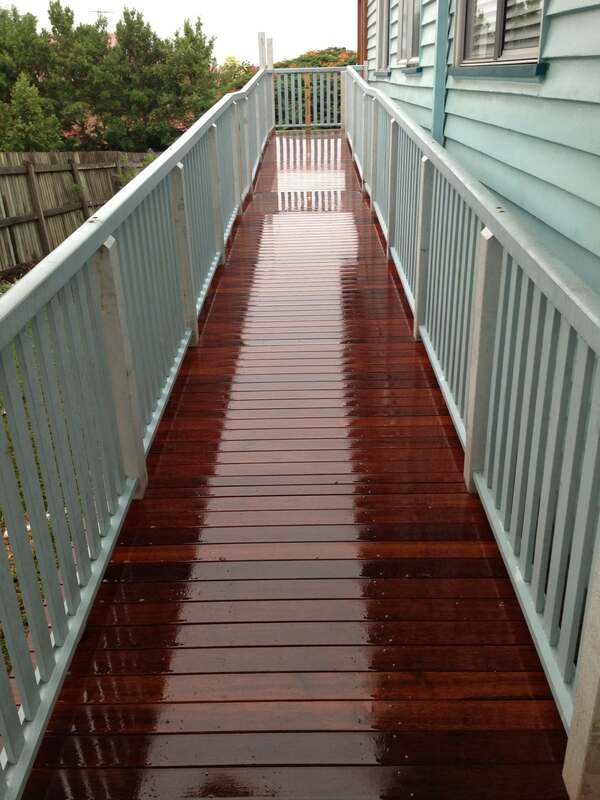 This project consisted of several key stages, such as: Cutting a gate into the existing timber fence, pouring a level concrete landing inside the gate, constructing 17 metres of Australian hardwood ramp, and seamlessly incorporating the ramp into the existing structure. 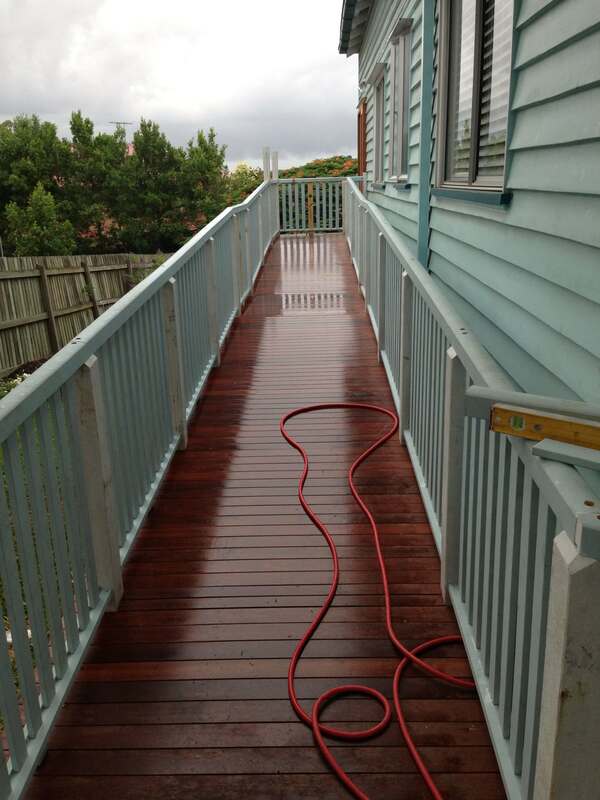 This ramp complies with Australian standards for the gradient, width, and handrail height. Meaning that should the owners ever decide to sell, they have a home addition built to standard for all abilities. The ramp has also been built so as not to retain water during wet weather for best traction and wearability over time. The materials used are quality Australian hardwood which, given the right attention every now and then will last for decades without issue. Beyond the practically of this addition, m.ewaldBUILDING have styled the project to perfectly mesh with the homes existing style. We have created a seamless addition for the homeowners that improve the enjoyment of the home and value. m.ewaldingBUILDING are National Disability Insurance Scheme Approved Builders. We have been vetted through the NDIS’s stringent requirements. We have proved that we exceed the requirements for trade expertise, experience, and craftsmanship to perform quality building and construction projects for those receiving assistance from the NDIS. You may be eligible for an NDIS subsidy to assist you with your building project, to find out visit their website. m.ewaldBUILDING provide free, no-obligation quotes for all projects. So contact us today to take advantage of our phenomenal experience and commitment to quality.